I was part of the pilot class for this piece. 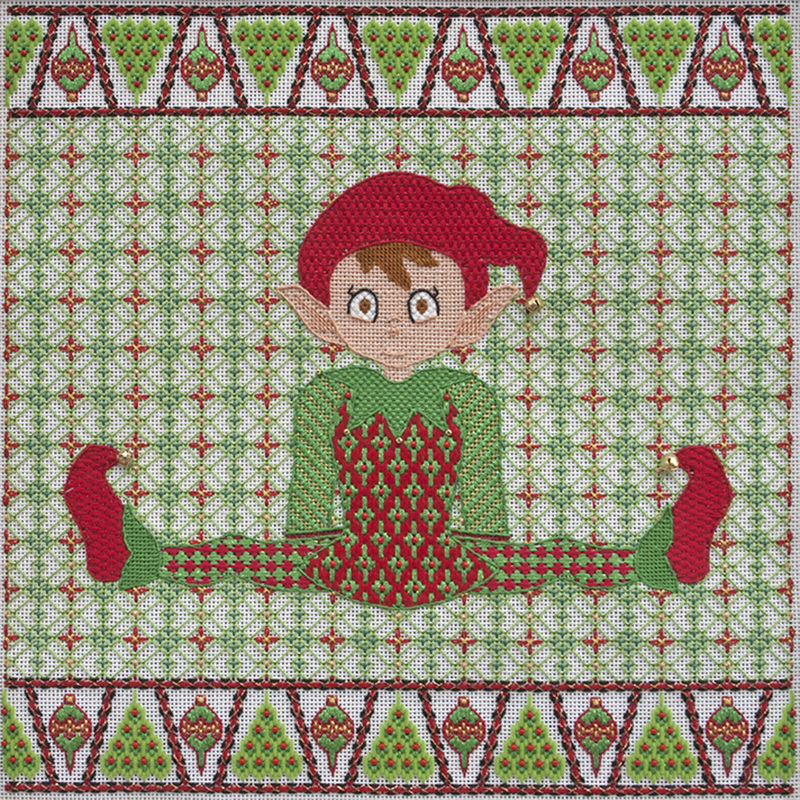 Ann Strite-Kurz, the designer, designed a fun piece that reminds one of the ‘Elf on the Shelf’ that is so popular now. She had us stitch using various stitches, indicating a good way to travel threads, and see patterns in a slightly different way (the triangular boarders were a delight.) We used pearl cotton, DMC and Anchor floss, Kreinik metallic braid, Rainbow Gallery Coronet Braid and Elegance as well as Very Velvet and Sparkle Rays. We also added bells and Mill Hill glass beads.